When your payment is confirmed, the product is on its way to you. If you don't have Paypal account, please make one as it is the only way your payment is accepted. Payment is only accepted in Yen currency. DO NOT convert it into your currency. Return of the product is accepted only when it mechanically dysfunctions. The warranty period is usually one year. If you repair after the warranty period, please pay the parts fee and shipping fee. The cost of shipping to anywhere in the world is 2,500 yen. Sorry! Black case was discontinued. It is only aluminum polished case now. Actual pattern of the surface may vary. 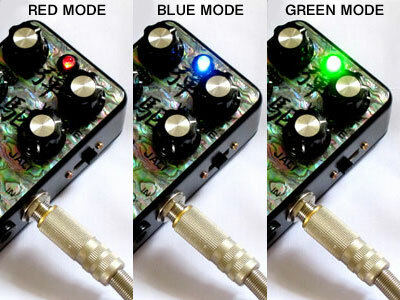 (which works best with humbucker pickups). Mr. Larry Carlton using model. The cost of shipping to anywhere in the world is 2,000 yen. The knob of this image is optional. 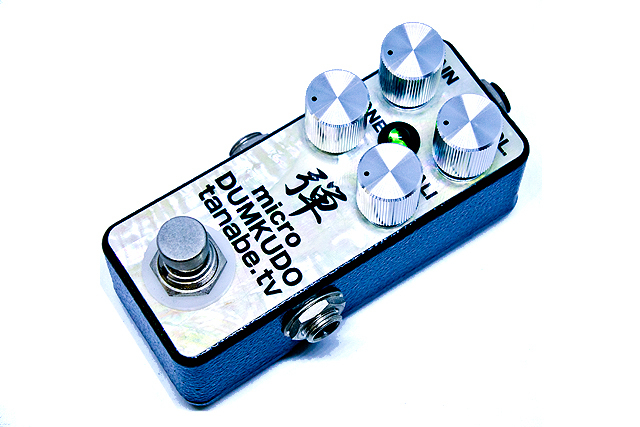 The Dumkudo was designed with single coil pickups in mind. 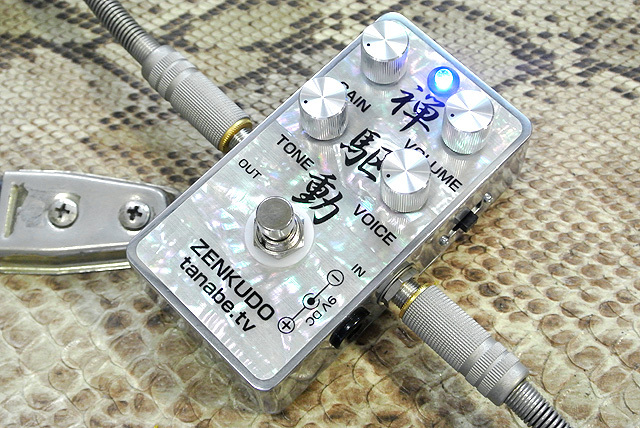 It has more gain than the Zenkudo (which works best with humbucker pickups). 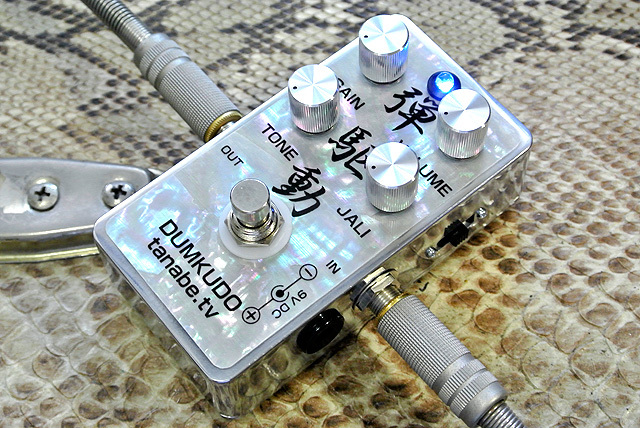 The Dumkudo was designed with single coil pickups in mind. 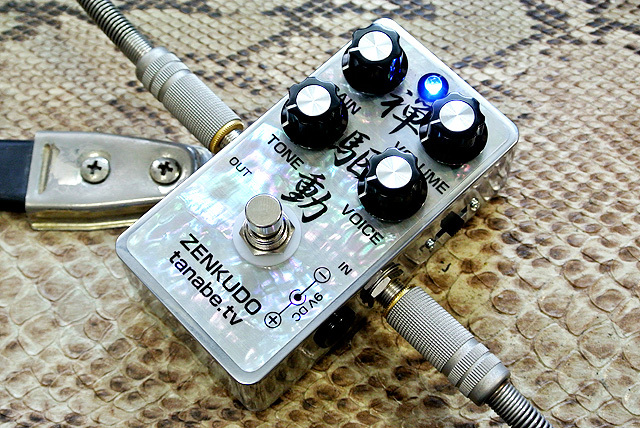 It has more gain than the Zenkudo (which works best with Single coil pickups). Mr. Robben Ford using model. 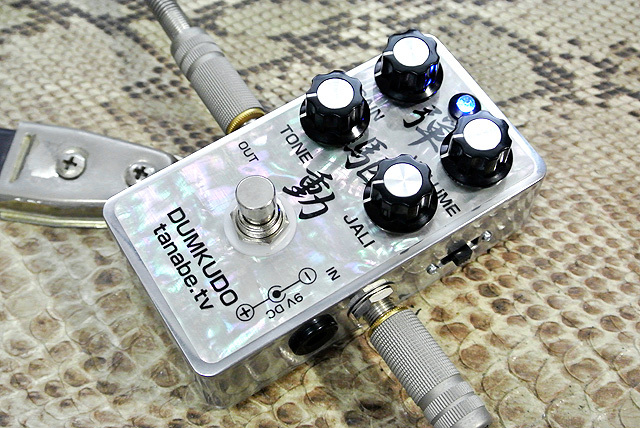 It is the one that GAIN was made strong for the single coil user. 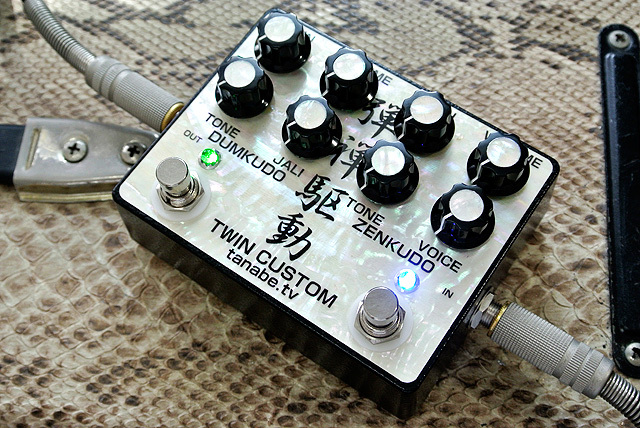 This is an installation of DUMKUDO and ZENKUDO on one case. 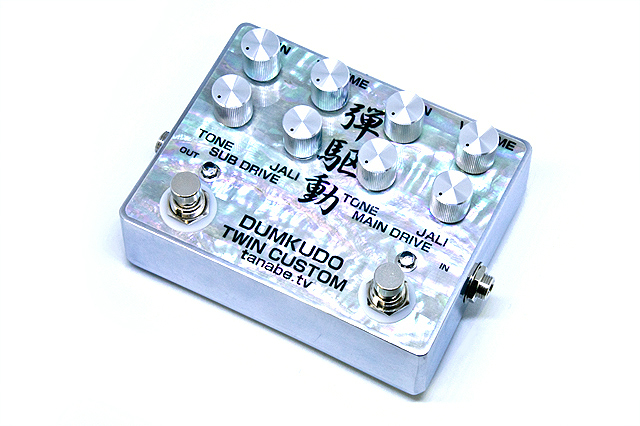 This Fuzz pedal uses 3 germanium transistors. 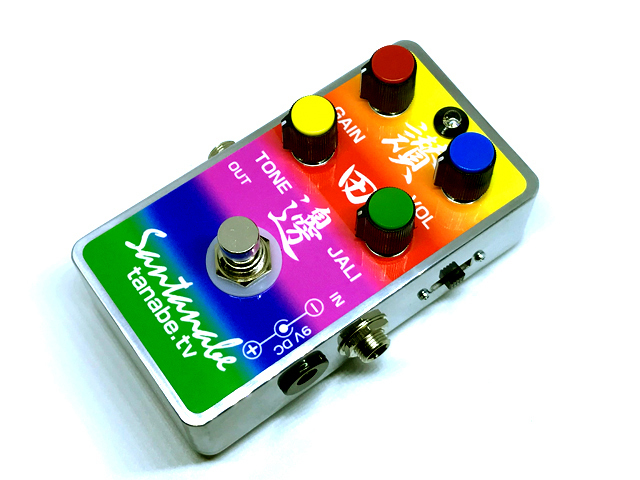 It's easy to dial in a great fuzz tone with this pedal! 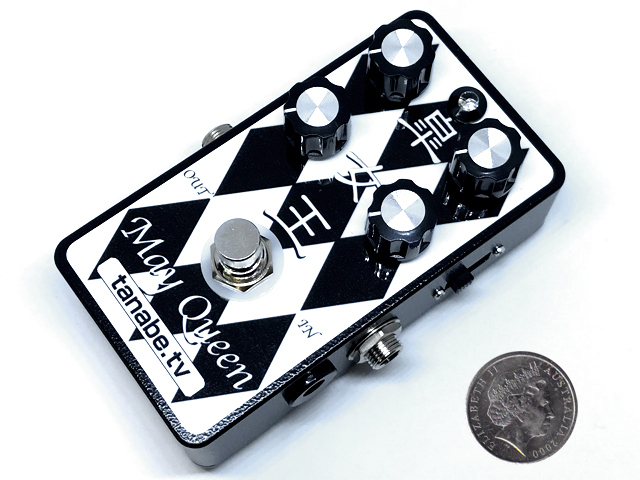 This pedal is a negative circuit. 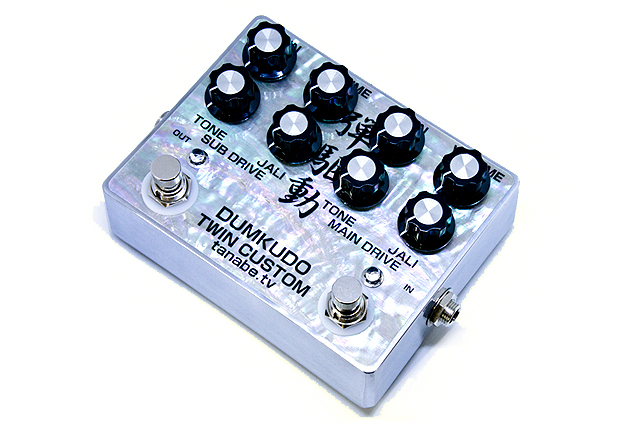 Please use this pedal with the dry battery. 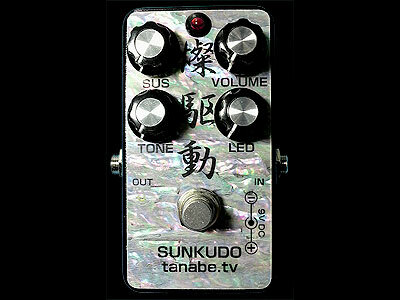 SUNKUDO is only a black case.